Does ‘sea salt’ or ‘bay salt’ only mean tastier food to you? Well, instead of using as a gourmet, you can include this compound in your regular beauty routine too. The salt is prepared by evaporating the seawater, which makes it full of natural minerals as well as exfoliants. 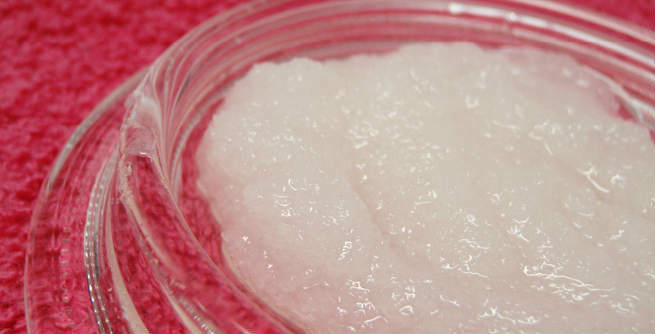 Hence, you can make a facial scrub with it and get rid of pesky acne by using that regularly. Here is all you need to know about sea salt facial scrubs to eliminate acne completely. Why to Use Sea Salt for Acne? Sea salt is a powerful antibacterial agent that can put a stop to infections and speed up the process of healing wounds. It dehydrates the acne-causing bacteria through a procedure named ‘osmosis’ in which a hypertonic environment is created. The high mineral content, especially the magnesium, of the salt helps in maintaining the water balance of the skin, thereby limiting the overproduction of oil glands and keeping the skin soft naturally. It can reduce the formation of scars and pits caused by acne. It increases the circulation of blood throughout the skin, which results into lesser breakouts. 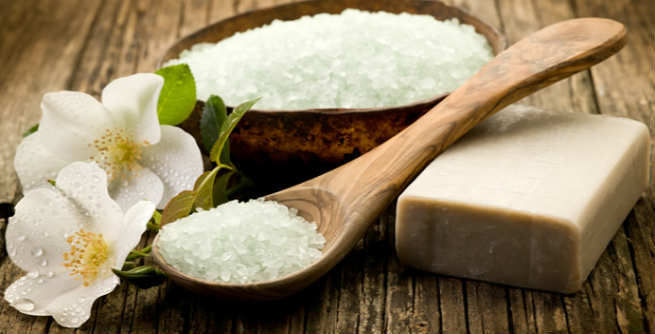 Sea salt is rich in nutrients that are essential for the good health of our skin. Create an uneven paste by combining both of the ingredients in a small mixing bowl. Dip a cotton ball into it and apply all over your face. Scrub gently in a circular motion with the ball or your fingertips. IT may give a stinging sensation for the first few days. However, you can notice the change after using it 3-4 weeks continuously. Put all ingredients in a mixing bowl and blend well. It should form a smooth moist mixture. You can use lavender, chamomile or any other essential oil of your choice. It boosts the antimicrobial properties of your sea salt scrub and gives you better outcomes. The application is similar to the previous one. Wash it off with lukewarm water after 5-7 minutes. Take the fine sea salt powder, pure raw honey and fresh aloe vera gel in a small bowl. Mix them well. Add the tea tree oil to it. Now, scrub your skin with it gently in circular motions. Make sure that you open your pores with hot steam prior to applying the scrub. If your skin gets dry or itchy, stop using sea salt scrubs immediately. Otherwise, you will end up developing severe inflammation due to the alkalinity of the salt. While scrubbing your skin with sea salt, be as gentle as possible. It will help you avoid all sorts of irritation or redness. Avoid open wounds and eye areas while exfoliating your skin with sea salt scrubs. For better results, add a little turmeric powder or tea tree oil to your sea salt scrub. These natural mixtures would help you get rid of acne faster.